Climbing Masada at dawn is impressive, not only bcause of the silence, but also the change of light and the hundreds of people that experience a place steeped in so much cruel and heroic history. The change of light during the day, causes each point on the horizon to change. The hordes of tourists thin throughout the afternoon due to the heat, but the views deserve a quiet walk around much more than a quick glance and then rushing back down to the Dead Sea. 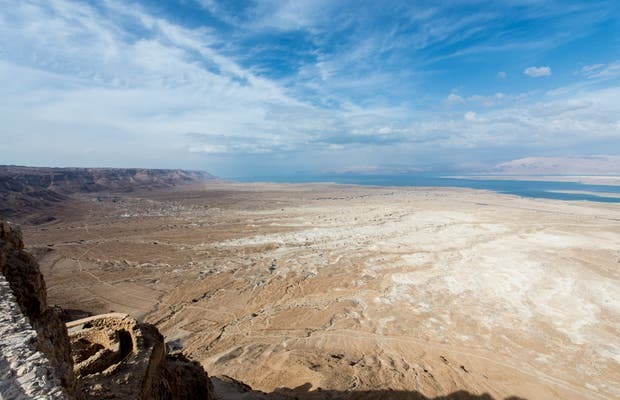 At the north edge of the Jordan Valley, to the South the salt from the Dead Sea, to the west the Judean desert, and to the east the Moab mountains, all the while crossing the ruins Hasmonean Jewish Zealots, Romans and Byzantines have left throughout history.